Vintage Art training Johannesburg January 21 2019 -Educator Alina. This educational training program is a full day of intensive, hands on training. Each student will learn about Vintage art and how to do this wonderful art. 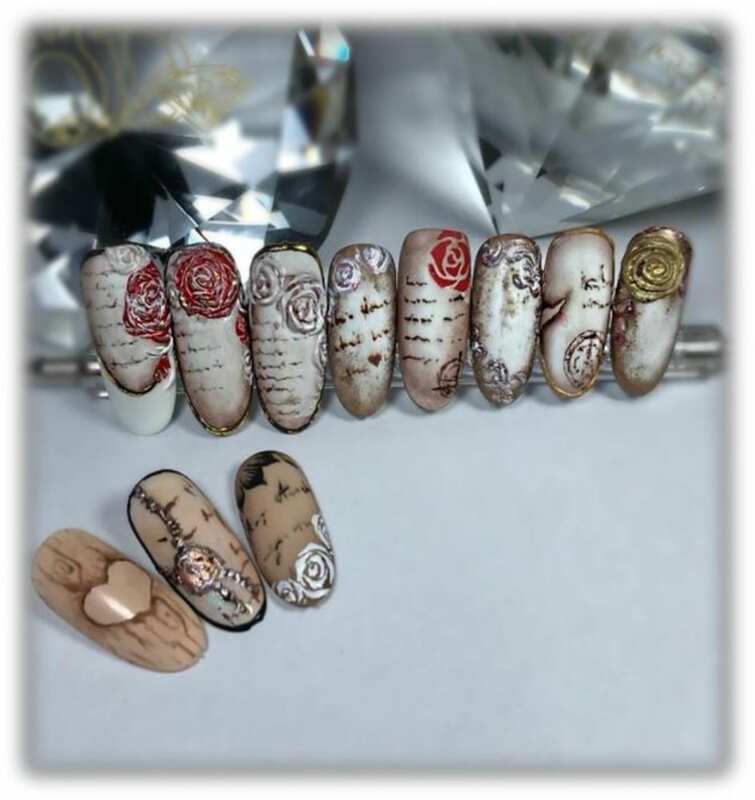 If you would like to turn your clients nails into a piece of art this course is for you. In this course we use different techniques to give a vintage effect.You will learn how to create art you never would have believed you could do. Venue: A.Fox studio. Genesis shopping centre, Sandler Road Fairmount. Vintage Art training Johannesburg January 21 2019, course for techs at any level! Educator-Alina. Each student will be taught how to use various paints and techniques to achieve a wonderful vintage effect. You will then be shown how to create amazing art. We guarantee you will learn so much! Bring your cell phone a charger as well as a notebook and pen to take notes. Everything else will provided for you free. Please join us for this great course, spaces are limited. Don’t miss out on what is sure to be a memorable day. You will not regret it. Please check out our other courses. Copyright QD Pro Design Nails 2018. This entry was posted in News & Updates, Upcoming Courses. Bookmark the permalink.